Presented here is perhaps the single most important and scarcest MTG Dual Lands ever printed. 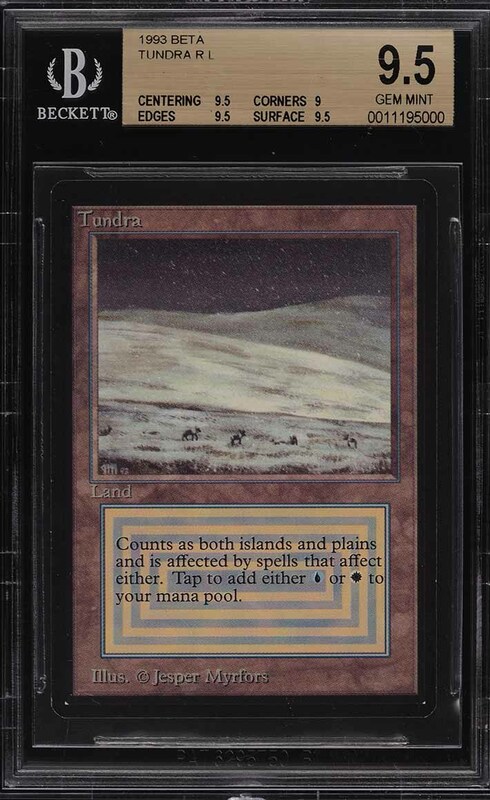 The Tundra represents one of the original ten Dual Land examples and is a immensely powerful card to own in any MTG deck. 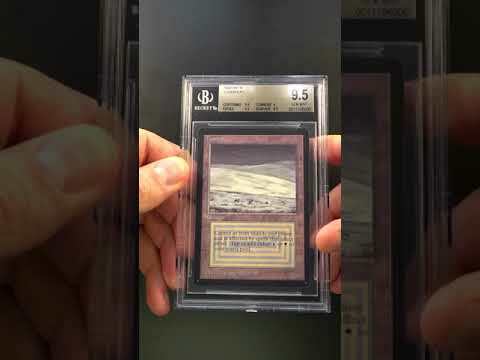 Far too rare, with a print run of just 3,300 of each rare card being produced, and the vast majority being played/damaged; high-grade examples are virtually impossible to locate. To date, of the 169 graded copies from Beckett, only 21 have been awarded the illustrious designation. A number which simply cannot satisfy the demand. This beautifully preserved, undeniably GEM MINT card boasts magnificent eye appeal with tremendous centering and thick card stock. Shows clean borders with smooth edges around. The surfaces are majestic with zero indentations or imperfections present. All told. we love this card and it fully upholds the elite assessment. 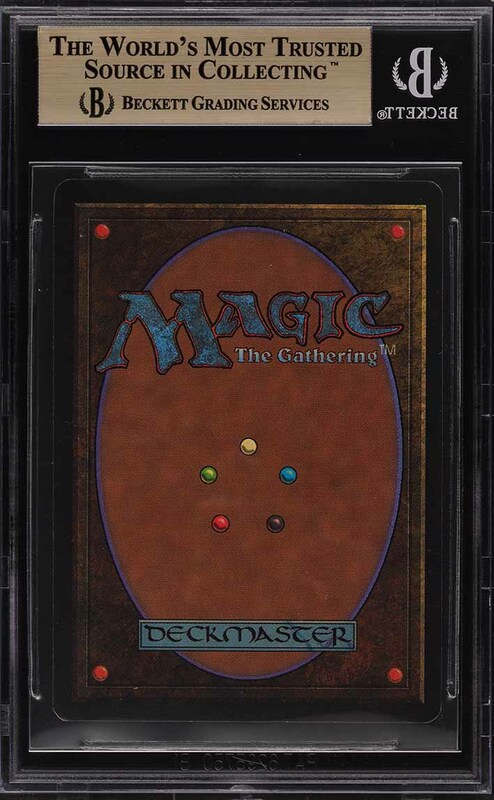 We are proud to offer this MTG rarity to the investment community, free of reserve. Enjoy! Part of a magnificent run of high-grade Magic The Gathering examples on the auction block this month. One of nearly 15,000 cards, lots, and sets up for bid in our 4th Auction of 2019. Click on the link above to view the other PWCC auction lots. The PWCC Vault is now live! Open a PWCC Vault account and receive a custom Vault shipping address. Purchases shipped to the Vault receive free shipping and reflect Oregon's 0% sales tax rate.